Just when it looked as if the Clackamas Community College men's basketball team was on the verge of playing its way out of title contention, the Cougars got their groove back. Sophomore forward Adam Gehrig scored a game-high 23 points and grabbed a team-high 12 rebounds as the Cougars snapped a three-game losing streak with a 78-64 Northwest Athletic Conference home win Wednesday over Clark College at Randall Hall. Freshman point guard Robert Ford added 19 points, nine rebounds, and 10 assists for the Cougars (13-5, 3-3 NWAC South), who were in desperate need of a win following consecutive losses to Umpqua, Linn-Benton, and Chemeketa. "We definitely needed this one," said Gehrig, who scored 12 of his 23 points in the first half of a game the Cougars led wire-to-wire. "This was probably one of our most important games of the year, so far. The fact that we won this one on our home court, it's great." Clackamas led 22-20 when Matt O'Brien knocked down a 3-pointer from the top of the arc, sparking 26-12 run over the final 10:27 of the first half that gave the Cougars a 48-32 lead at the break. For the half, the Cougars shot 50 percent (20 for 40) from the field and 47.1 percent (8 for 17) from 3-point range. They also had a significant advantage in rebounds (29-13), offensive boards (11-4), points in the paint (22-14), and second-chance points (16-4). In the second half, the Cougars pushed their lead to as many as 20 when Tariq Harris hit a 3-pointer to make it 61-41 with 13:30 remaining. 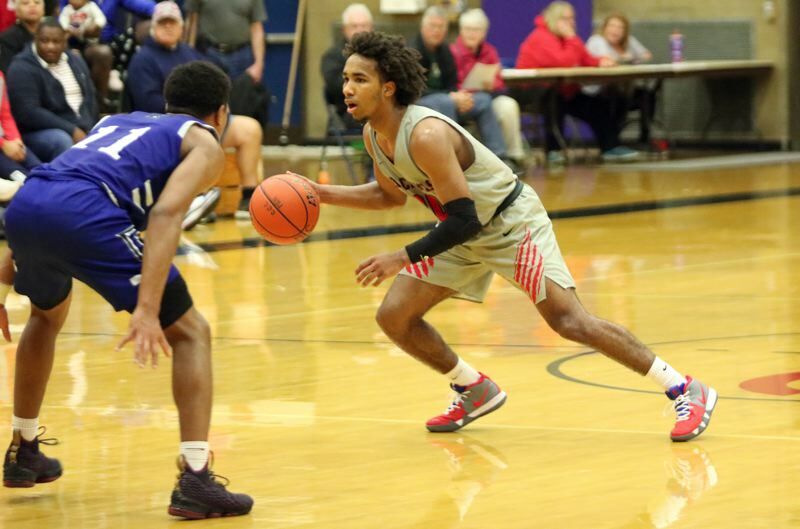 But the Penguins battled back, mounting a 21-7 run that ended with Malik Taylor converting a lay-up to cut Clackamas' lead to 68-62 with 3:53 to play. The Cougars then closed the game on a 10-2 run that included a Gehrig 3-pointer, a Ford lay-up off a steal, a Harris lay-up off a steal, and another Gehrig trey -- his fifth of the game. "We had a little lapse, but then we buckled down as a team, we came together, we starting moving the ball, and we started hitting shots and playing like we know how to play," Gehrig said. "We're back to it." Harris finished with 15 points and five assists, and O'Brien added eight points and eight rebounds for the Cougars, who shot 42.5 percent (31 for 73) from the field finished with a 50-45 edge in rebounds. "I thought we got back to playing defense and rebounding really well," Cougars coach Clif Wegner said. "I thought the first half was really, really good. The second half was fine, too. "Clark made a charge, which is inevitable, but we did a good job when it got down to six points. We were able to bear down, we got stops, we ran our offense, and we got good touches inside." The Cougars also snapped their longest losing streak of the season and remained within two games of South Region co-leaders Chemeketa, Lane, and Umpqua heading into Saturday's 4 p.m. game against Lane (16-2, 5-1) in Eugene. "This was huge," Wegner said. "I don't know where we'd be tonight if we would have let this one get away. This was a much-needed confidence builder. "We knew if we played hard and we defended and rebounded like we know how that we'd be in the ball game. As it turned out, we shot the ball well in the first half and had a nice, comfortable lead, so it was a good ball game. I was pleased." After Saturday's game at Lane, the Cougars are scheduled to close out the first half of league play at home with a 7:30 p.m. game Wednesday against Mt. Hood (6-12, 1-6).